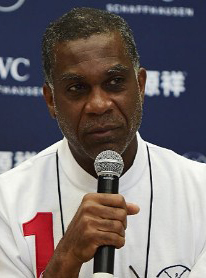 West Indies fast bowling legend, Michael Holding. 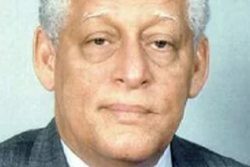 The 65-year-old Jamaican, now a well-respected television broadcaster, said a new constitution would allow for an enhanced governance structure which would prevent future CWI leaders from “dominating situations, doing as they like and being supported by their lackeys”. “I think this is a positive change but what I don’t want people to think is that everything is now rosy – the rose garden is looking well-pruned and everything is pretty again,” Holding told i95.5 FM in an extensive interview. Holding lamented the fact previous CWI administrations had ignored the key recommendations contained in various reports, all of which had called for an overhaul of the governing body. And while noting that restructuring the board was not necessarily the first thing which needed to be undertaken by new president Ricky Skerritt, Holding said it should be placed high on the priority list. “It can happen very, very quickly. They just need to sit down with some people who know about constitutional law and restructure the constitution of the board. 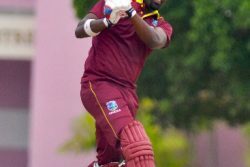 That is not the first thing that needs to be done but it needs to be done very quickly,” said Holding, a member of the West Indies formidable pace battery of the 1970s and 80s. “We have had three committees which have been put together – one headed by PJ Patterson, one headed by Charles Wilkins and of course, the Barriteau Report. They made some great recommendations which have all been shelved – the important aspects of [them]. Skerritt, a former St Kitts and Nevis government minister, defeated unpopular three-term incumbent Dave Cameron in elections in Jamaica last month, to assume the post of CWI president. 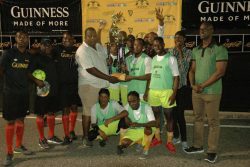 His running mate, St Vincent and the Grenadines Cricket Association president, Dr Kishore Shallow, also toppled incumbent vice president, Emmanuel Nanthan. Holding is the latest legendary former Windies player to give a thumbs-up to the CWI leadership change, following on from the likes of Sir Vivian Richards, Sir Andy Roberts and Clive Lloyd all of whom threw their support behind Skerritt ahead of the election.